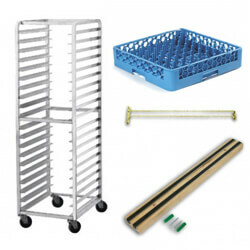 The success of a food service business depends on organization. 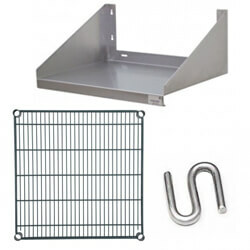 Keep pans, ingredients, equipment and supplies organized with restaurant shelving and storage racks. 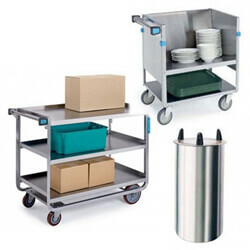 Store and serve food and beverages with food carts, food carrier and beverage carriers. 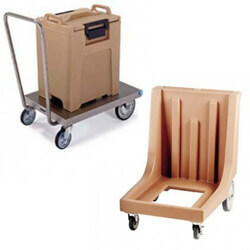 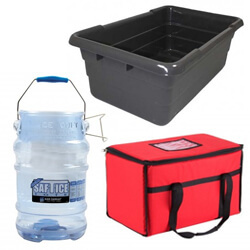 And easily transport equipment and boxes of produce or supplies with carts, trucks and dollies.